Our Security cameras are a great way to provide security for your home and workplace. As well as providing you with video footage of any events, which may happen. They also act as a visible deterrent to criminals. We stock wide ranges of cameras, ensuring it is suitable for every budget. Our ranges are state-of-the-art HD cameras with different megapixel sensors. We also have cameras with optical zoom, pan, tilt functions and our great value advanced series range. 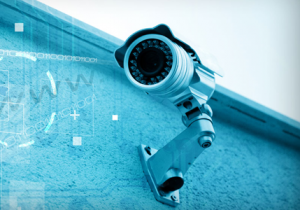 When connected to a DVR system most of our home security camera systems in Cape Town can be accessed remotely from your Smartphone, tablet or desktop. Allowing you to check your home or monitor staff at workplace from wherever you are. Many of our security cameras are motion activated, recording footage when motion triggers them. Our range of cameras also includes outdoor and Wi-Fi cameras. IP (internet protocol), wireless and cloud cameras allow you set up a security system without the need to run wires around your home or business. By submitting a comment you grant Access Control Systems in Cape Town a perpetual license to reproduce your words and name/web site in attribution. Inappropriate and irrelevant comments will be removed at an admin’s discretion. Your email is used for verification purposes only, it will never be shared.